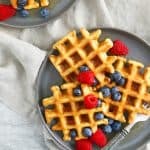 Crisp, soft, easy healthy gluten free oat waffles that are incredibly easy to make with just a blender. 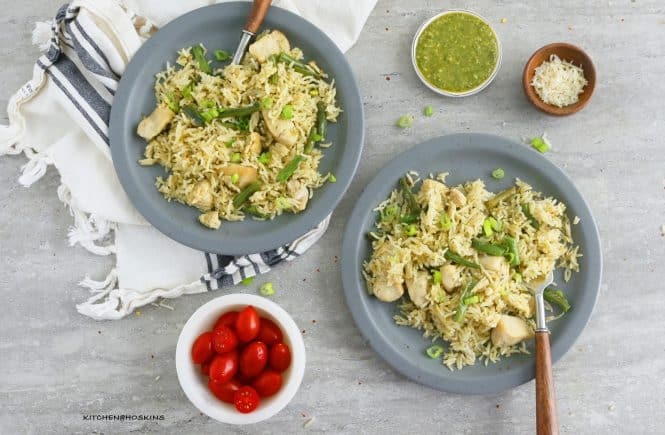 Serve hot with maple syrup or pack into lunch boxes or freeze leftovers! Any waffle lovers out there? My family loves, LOVES waffles. My kids will not mind having them every morning of the week. Crisp. Soft. Light. Easy. No fuss. 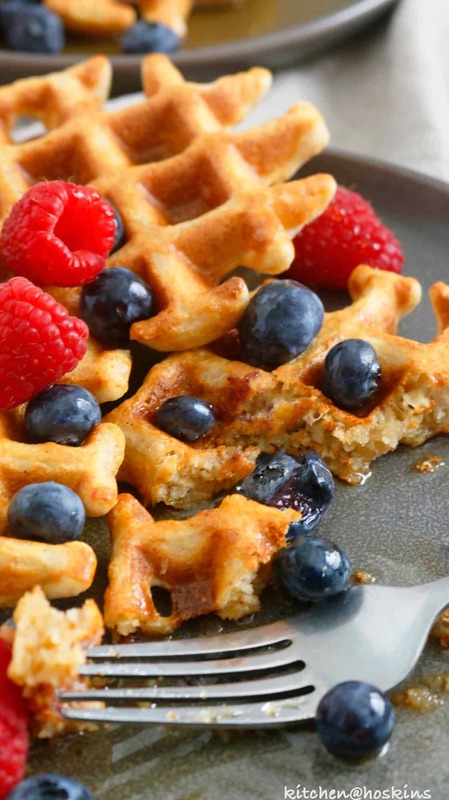 Healthy <— These gluten free waffles have it all. 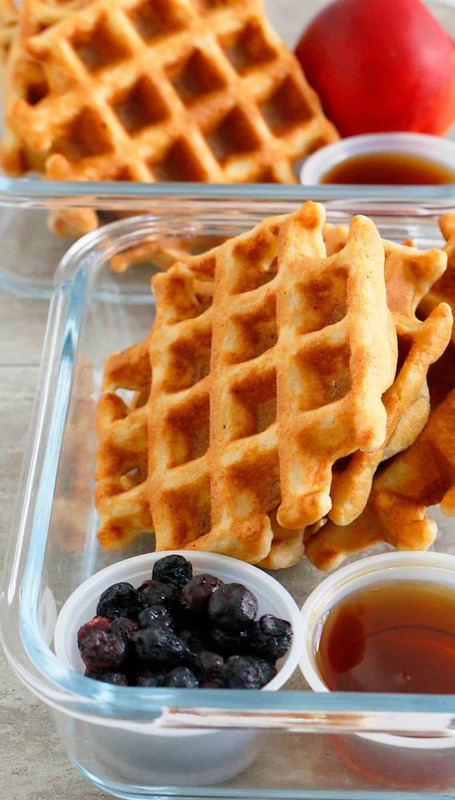 How easy are these healthy waffles to make? Easiest to make <—- Dump everything into a blender and BLEND. You don’t need a professional $$$ blender. Mine isn’t! 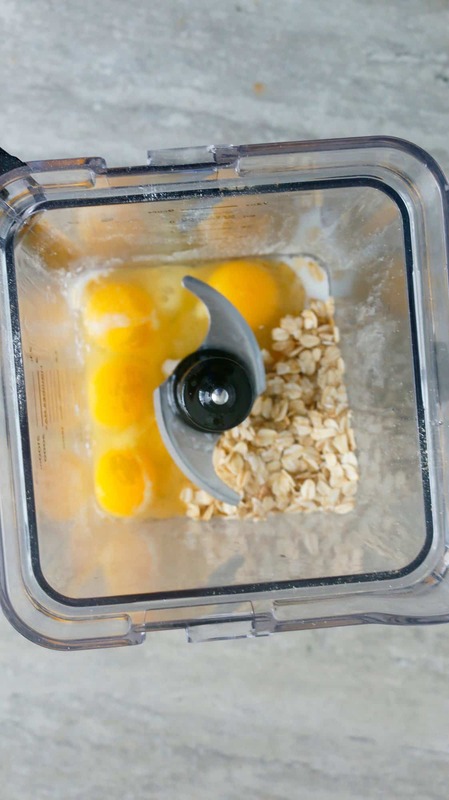 —> Add all ingredients and blend until smooth. 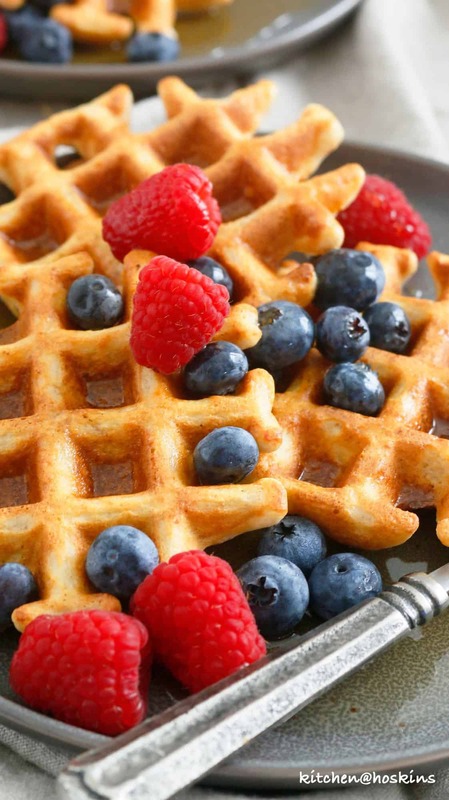 If adding room temperature liquid coconut oil (not warm or hot), then proceed onto making waffles right after you blend. 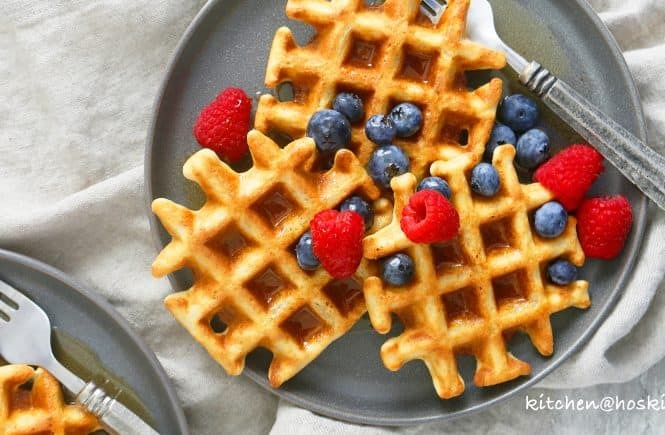 If adding warm liquid coconut oil, then let batter rest for about 10 minutes ( this will allow it to thicken) before making waffles. Substitute melted and cooled butter instead of coconut oil. They freeze beautifully. Just pop them into your toaster for a quick breakfast! 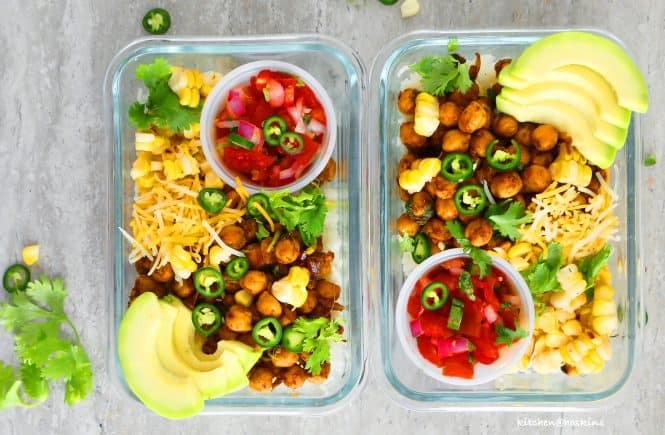 My children love breakfasts for school lunch once in a while <– Fun variation from the usual savory suspects. 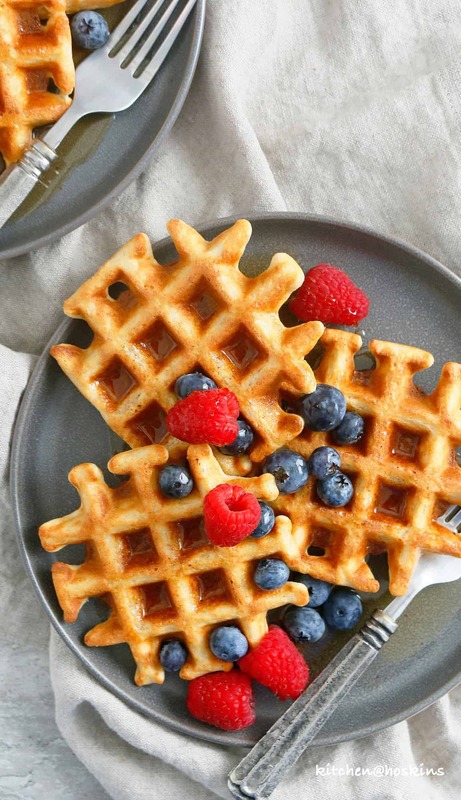 And these waffles are super healthy. So, why not? Pack them with maple syrup in a seperate small container or jello shot cups and fruits. 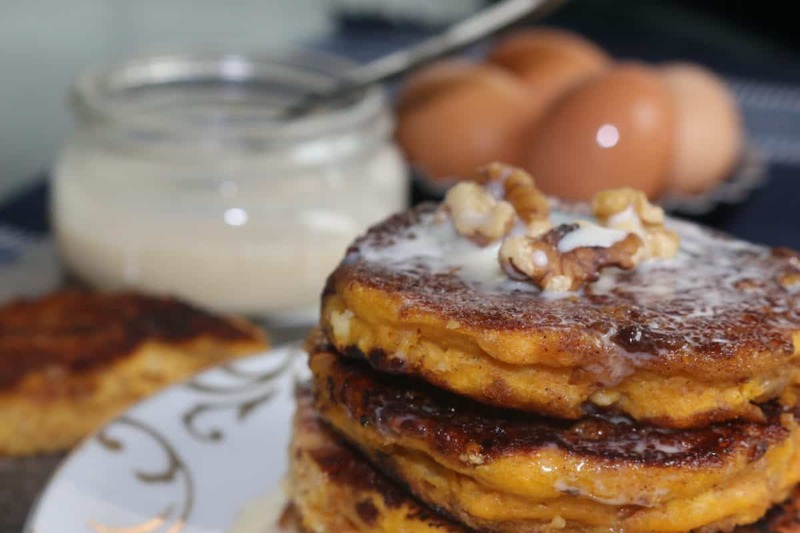 Crisp, soft, easy healthy gluten free oat waffles that is incredibly easy to make with just a blender. 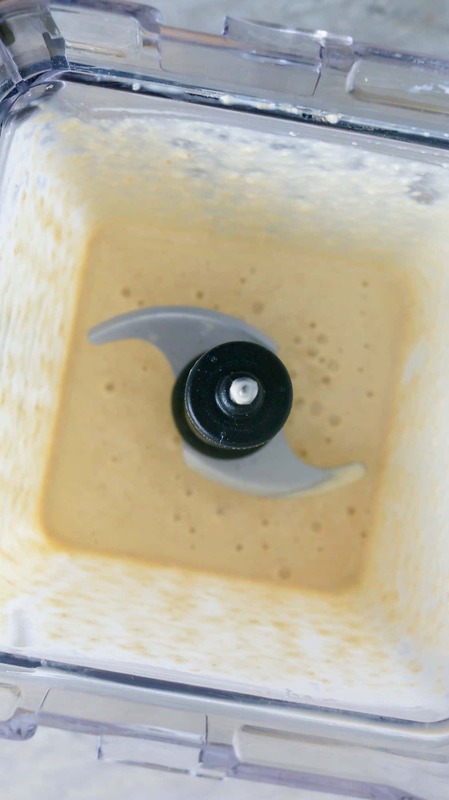 Add all ingredients into a blender. Blend until smooth (it took about 3 minutes in my blender). Let batter rest while you preheat waffle iron. Grease waffle maker with non-stick cooking spray. Pour about 1/3 cup batter into each waffle plate and cook according to manufacters instructions until golden. (I cooked for 4 minutes in my waffle iron). 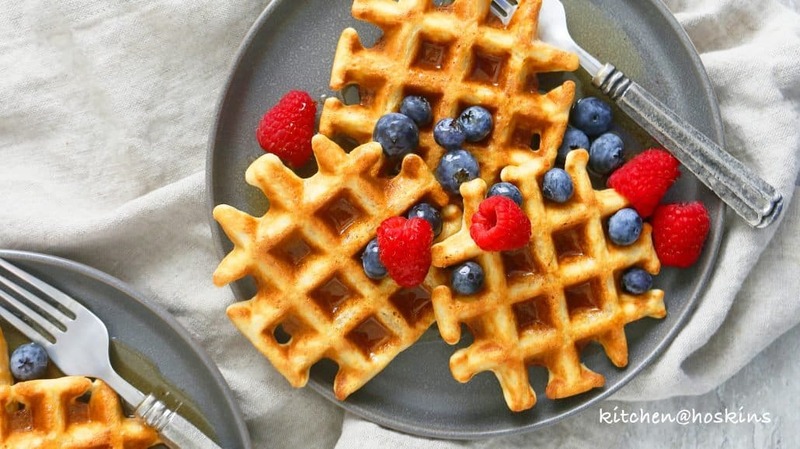 Remove waffles onto a plate and repeat with remaining batter. Substitute melted and cooled unsalted butter instead of coconut oil.